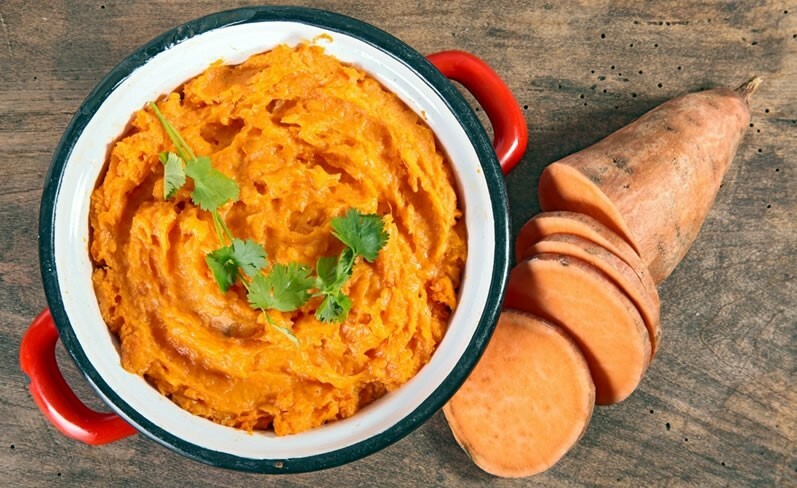 We love hummus dip but I had never thought of a sweet potato flavor hummus before. I love sweet potatoes but traditionally eat them roasted, mashed or in a baked dessert pie. Today's guest post recipe is from Chef Anthony Stewart, at the Pritikin Longevity Center + Spa. It looks really good and is easy to prepare. They recommend serving it with freshly sliced veggies, but I bet it's equally as good served with artisan crackers or bread. Wrap a scrubbed, rinsed and sliced sweet potato in aluminum foil and bake for about 1 1/2 to 2 hours, until soft. Allow potato to cool. Puree all ingredients together in a food processor. Add water if hummus is too thick. Serve with sliced vegetables. My husband loves hummus in almost all forms (not very spicy ones). This is a recipe I have to try. It looks very easy and delicious.